Blue Apron has secured its position as a meal delivery giant by being a pioneer in a variety of fields. It is one of the rare delivery services that have a wine club and one of the few delivery services that have adopted innovative ways of advertising. Now, it is launching a podcast of its own called Why We Eat What We Eat. The podcast is to premiere on October 11, 2017, so as we wait, let us give you a hint of what you can expect from the show. The host of the show is Cathy Erway, known as the host of the podcast Eat Your Words, the author of several popular cookbooks and books about food like Love The Stove and The Art Of Eating In, and a blogger at Not Eating Out In New York. The podcast is created in cooperation with Gimlet Media and so far, everyone is pretty enthusiastic about it. 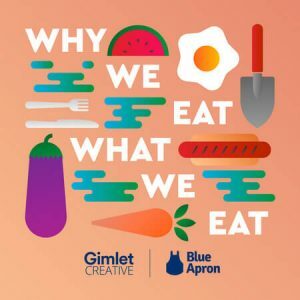 In the words of Frances Harlow, deputy creative director of Gimlet Media, Blue Apron has allowed the Gimlet team to have fun while creating the podcast, giving them plenty of room for experimenting and making the show unique and as far from being formulaic as possible. 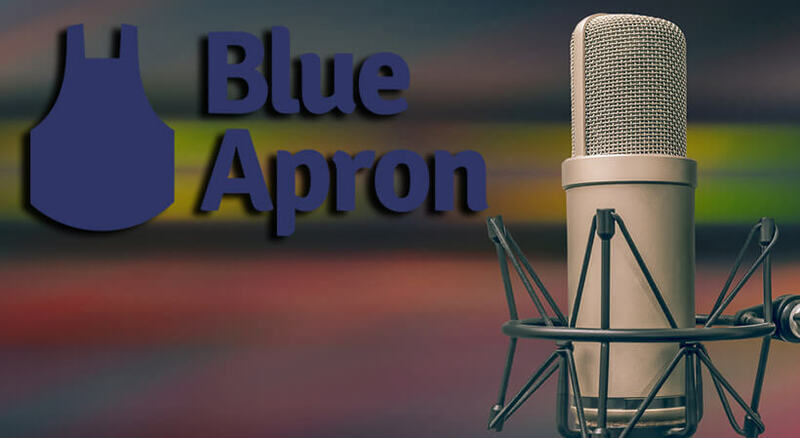 For Blue Apron CMO Jared Cluff, the podcast is an excellent way to gain new fans and get closer to the existing customers. It is a step toward Blue Apron’s goal of building a lifestyle brand centered on home cooking. The topics explored in the show will cover a variety of food-related phenomena, including the sources and origins of food trends, what makes some foods more popular than others, how people choose the food they eat, and why some people stick to the well-known favorites while others boldly explore new flavors. The show will also include some interesting food (hi)stories, often focusing on great American culinary traditions like the potluck. The episodes will feature different formats, ranging from highly informative to personal. Along with exciting explorations of general food topics within its podcast, Blue Apron is also working on bringing great additional content to its customers, including videos focusing on different cooking techniques, blog posts about its suppliers, and delicious extra information about the ingredients it ships in its weekly boxes. To allow the listeners to enjoy the podcast more, the company has decided against additional ad breaks, at least for the time being. That means more food talk and less unrelated advertising that spoils the experience and irritates the listeners, steering their thoughts away from the main topic. So far, the show seems rather promising and we cannot wait for the first episode to air. The first season will end around Thanksgiving and by then the listeners will have had the chance to enjoy a variety of topics and experimental formats. We are not huge fans of branded podcasts, but this one may just prove to be worth listening to, especially if the company sticks to its minimalistic approach to ads.